Semolina is used all over the world for culinary and perfect for making delicious Suji Cakes, Crumbles, Cookies, Crust dough for pastry, bread, consistency for batter, pizza, Indian Breakfast, Creamy Semolina Porridge with Cardamom, Deserts and Sweets. Santhas Fine Semolina is soft texture made from hygienically and pasteurised Fine Milled Durum Wheat though it can also be made from maize. Semolina is a part of wheat, during the phase of wheat milling, the bran, germ and endosperm are separated and the endosperm breaks into coarse grains. These course grain are known as semolina. Semolina is further milled to various type, a very gritty, coarse, flour usually made from durum wheat. It comprises the nutritious heart endosperm of the grain, which is left behind when the fine flour is sifted after milling. 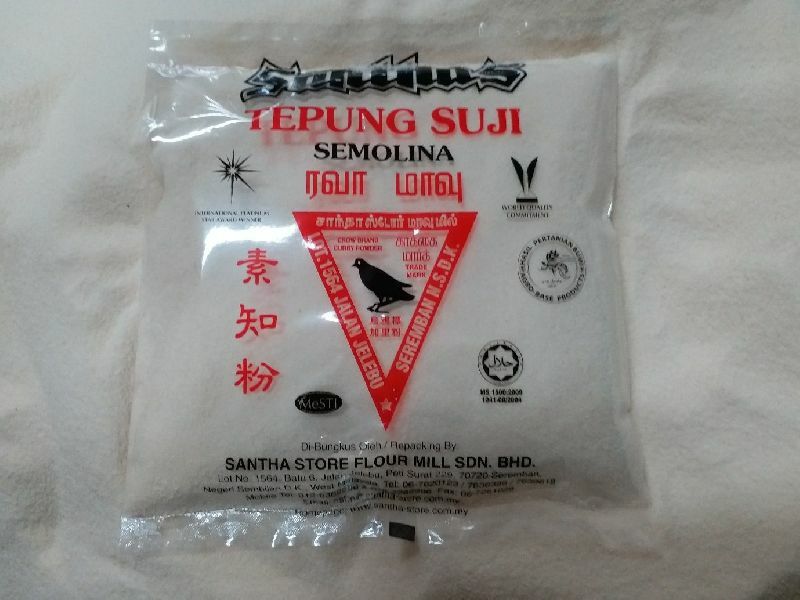 Semolina commonly used to replace flour in some recipes. Semolina is an Italian word which means semi-milled.